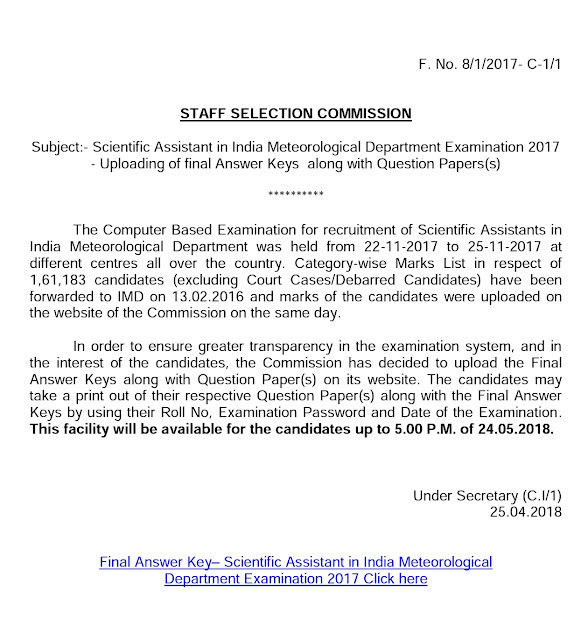 The Computer Based Examination for recruitment of Scientific Assistants in India Meteorological Department was held from 22-11-2017 to 25-11-2017 at different centres all over the country. 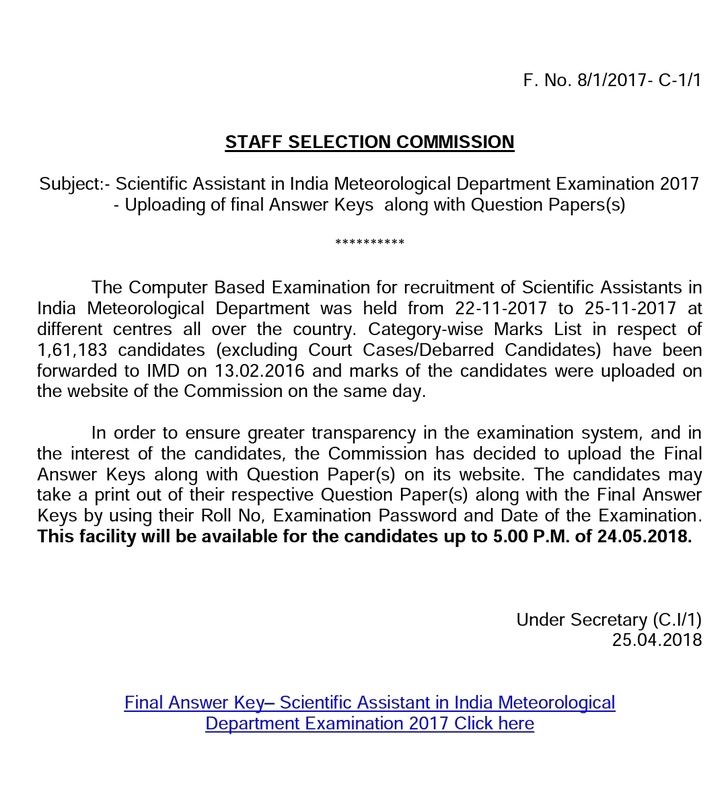 Category-wise Marks List in respect of 1,61,183 candidates (excluding Court Cases/Debarred Candidates) have been forwarded to IMD on 13.02.2016 and marks of the candidates were uploaded on the website of the Commission on the same day. In order to ensure greater transparency in the examination system, and in the interest of the candidates, the Commission has decided to upload the Final Answer Keys along with Question Paper(s) on its website. The candidates may take a print out of their respective Question Paper(s) along with the Final Answer Keys by using their Roll No, Examination Password and Date of the Examination. This facility will be available for the candidates up to 5.00 P.M. of 24.05.2018.